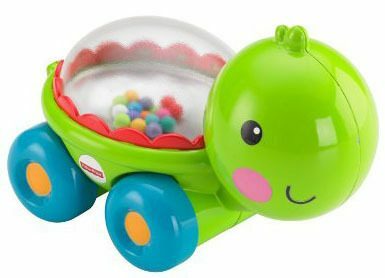 Fisher-Price Poppity Pop Turtle Only $7.99 + FREE Shipping! You are here: Home / Great Deals / Amazon Deals / Fisher-Price Poppity Pop Turtle Only $7.99 + FREE Shipping! Here’s a great deal on a fun Christmas gift for a little one! Right now, you can get the Fisher-Price Poppity Pop Turtle for just $7.99 + FREE shipping with Amazon Prime or Super Saver Shipping! My daughter loved popping toys like this when she was younger. This would make a great gift for your little one or a fabulous gift for an upcoming baby shower!